An intranet serves as a central hub for information, communication, scheduling, project management, and many other tasks. It's a virtual space where colleagues can interact with each other both personally and professionally on many topics. A well-designed intranet software platform should make people feel comfortable when they log into the portal, as if they're "at home." Unfortunately, this is a common issue that many companies face. For an intranet to be a comfortable space where employees can work and interact with each other, it must have elements of personalization. A major problem is that many intranet platforms are created using template-based software. This restricts intranet personalization on a variety of levels. In essence, each intranet created this way is practically the same, which leaves very little room for creativity. 7 reasons to avoid "one-size-fits-all" intranet software solutions. There are plenty of reasons why some companies choose to go with one-size-fits-all solutions when shopping for intranet software. 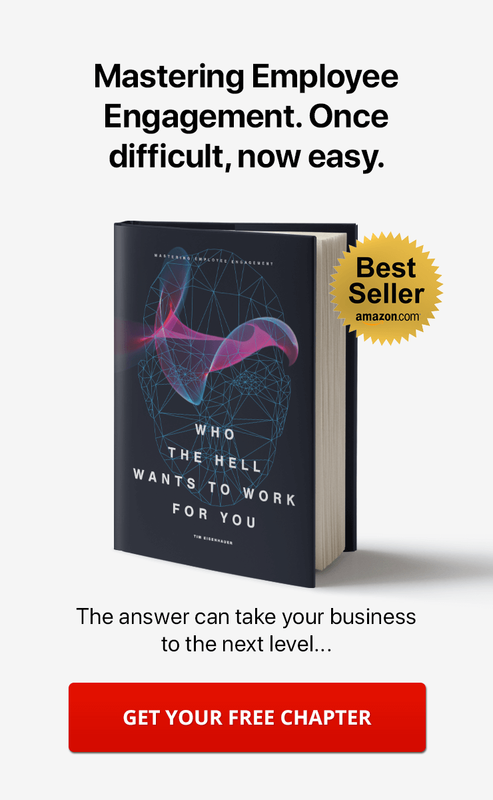 Many managers and CEOs are simply looking to take the easiest course of action ... and a lot of these applications promote themselves as being so easy to use, they require no prior experience from anyone for anything. Cost can sometimes be a deciding factor as well. Most one-size-fits-all software solutions claim to be so inexpensive that pricing can seem too good to be true — and in most cases, it is. An intranet needs to grow with the organization it supports. 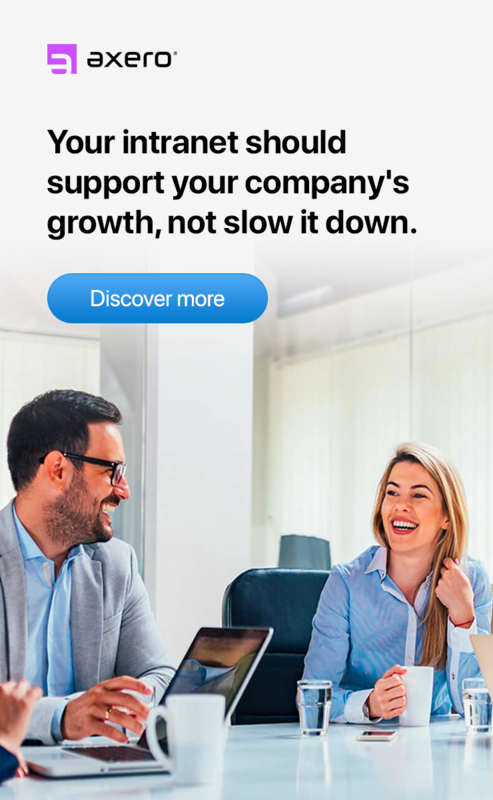 When a company experiences growth and expansion, it will be held back if the intranet can't be scaled-up at the same time. This lack of scalability is a major problem commonly associated with one-size-fits-all intranet software. 2. Inability to inject brand identity. Brand identity can go a long way to keep employees engaged and interested with your company intranet, yet this often gets overlooked. Maybe this is because most one-size-fits-all software solutions make it nearly impossible to add brand identity to their platforms. 3. Content / Space limitations. A healthy intranet is constantly being updated, whether in the form of new content, forum posts, or something else. Naturally, limitations on space and content creation can have dramatically negative effects on any intranet, and this is a common issue associated with one-size-fits-all solutions. A more customizable and flexible intranet software solution will not limit you in terms of how much content you can upload or create. This becomes especially important once your intranet has had some time to grow. 4. Frustration among staff members. 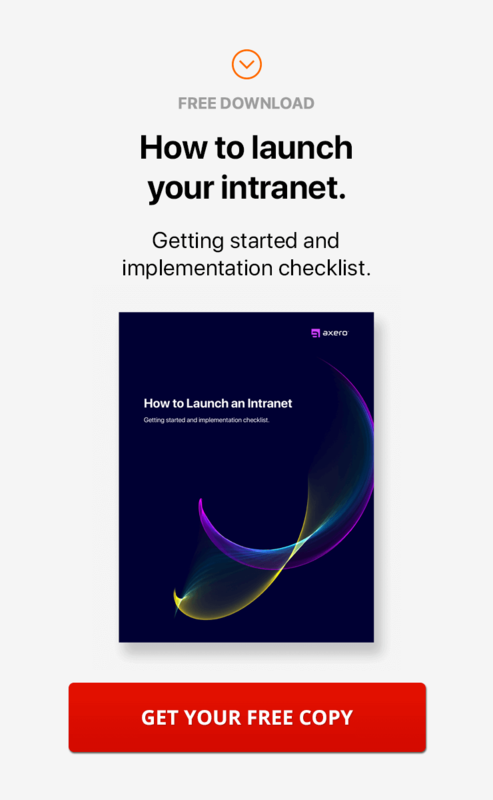 Staff members will become frustrated if forced to work with a confusing intranet software platform, and productivity can decrease as a result. Frustration typically occurs as a result of poor user experience, and since many things can affect this (user interface, for example), pinpointing the issue can be difficult. This, unfortunately, is another common side effect of one-size-fits-all software solutions. Business blogging is one of the most effective ways to gain attention for your company. As with anything else, your blog has to stand apart from the competition, and this is difficult to achieve when you're restrained by templates. Most people don't want to read a blog that looks like every other blog ... and even if they don't realize it, familiarity can cause many readers to head elsewhere. One-size-fits-all software almost always comes packaged with blog templates that offer little to no customization. Every intranet needs to offer your employees the ability to communicate in a streamlined manner. When everything works properly, the result is increased productivity and stronger levels of employee engagement. The right intranet will even replace email as a main conduit for communication. 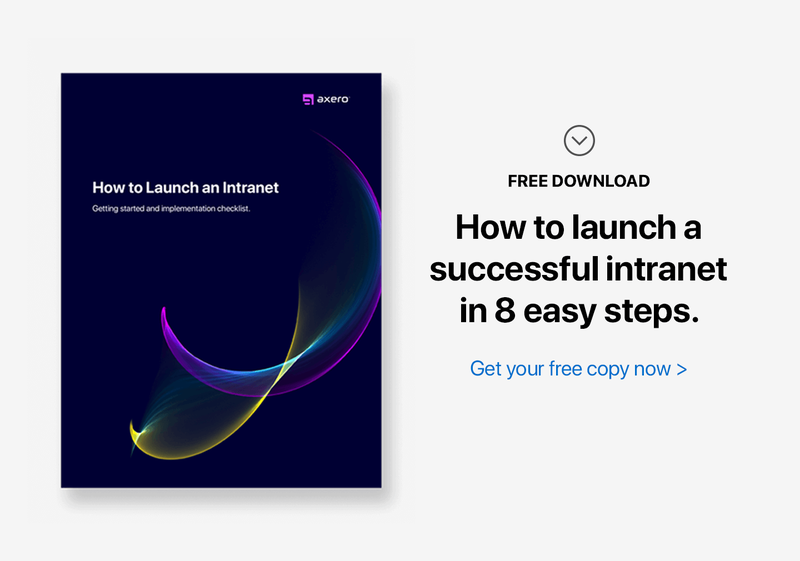 However, many one-size-fits-all intranet options haven't figured out the communication side of things and are best avoided by forward-thinking companies. 7. Inability to segment workspaces. Segmentation is extremely important for all businesses, and this is especially true for the company intranet. Chances are, your business is made up of a few different departments. Workers need to be able to step away from the other departments, which is why segmentation and online workspaces are so important. Unfortunately, this isn't always an option when you're using template-based intranet software. As you can see, one-size-fits-all intranet software won't do your organization any favors. Among the main issues highlighted above is the lack of personalization opportunities available. Intranet personalization isn't impossible, and there are plenty of software options on the market that keep this top-of-mind. 7 benefits of intranet personalization. If you want to improve your company intranet, there are many things to consider. Functionality, naturally, should be a key focus, but one area that sometimes gets overlooked is intranet personalization. Once you understand of the benefits of adding a personal touch, it becomes obvious how effective personalization can be. Every business owner wants to create a unique culture for their company. After all, long days at work are mentally draining if people aren't having a good time, and an improved company culture can help the day go by more smoothly. Intranet personalization is one of the best ways to improve company culture, especially if you're working with and managing remote employees. 2. Higher levels of employee engagement. Managers and CEOs often fear dwindling employee engagement levels, especially since employee engagement is linked to performance. A more personalized virtual community will keep employees interested in their work, especially if they're used to working with archaic software. In order to be productive, every employee needs to have the right tools. Intranet personalization can often take a "cold" intranet and turn it into something highly-relatable, which can help your employees get the most out of their experience. Improved user experience will no doubt lead to increased productivity, and it's as easy as adding a personal touch to your virtual workspace. Since every business is unique, a static navigational template will not work for every company. Navigational headaches can cause employees to give-up on whatever tasks they're working on, which is why customization is essential. Creating a personalized intranet navigation panel suited specifically for your organization will lead to less roadblocks for everybody. You can tailor it entirely to the needs of your business. If placed appropriately within your intranet, widgets are a fun and extremely useful way to improve productivity. However, useless widgets will only get in the way, which is why you need to inject some personalization into how your widgets are laid-out ... and which ones are available to people. The right combination of widgets can go a long way, so don't rule them out altogether! 6. Custom platform for blogs and articles. Content marketing is very effective when you take the right approach, but it's important to consider how things actually look when presented visually across the web. An attractive, custom platform for blogs and articles will translate better than a run-of-the-mill, standard layout. With the right social intranet software, personalizing the look and feel of your blogs and wikis is easier than you might think. It may seem like overkill to inject your branding into your social intranet, but there's no reason to feel this way. Brand awareness is effective when used both internally and externally, and it's as easy as incorporating the right colors, logos, and images into your intranet design. Intranet personalization and brand awareness go hand-in-hand ... allowing you to go as light or heavy as you'd like with the amount of branding you do to your intranet. 6 essential tips for intranet personalization. The benefits listed above are just a few that can be gained with intranet personalization ... and the number will only increase as technology continues to progress. However, you won't find success if you don't learn how to personalize your intranet, as there are many different approaches to take. Intranet personalization should be viewed as a cohesive, all-encompassing strategy that takes time to employ, but the right moves will certainly add value to your organization. 1. Create custom blogging templates. Blogging templates can be useful when designed specifically with your organization in mind. Templates give your employees something to follow when attempting to create content, which can help speed-up the process. Creating custom business blogging templates is easy and can help improve consistency ... taking content creation to an entirely new level within your organization. Plus, you can tweak how your blogs are displayed, which can make them more appealing to your audience. 2. Allow users to tweak their own settings. You should keep in mind that each employee has a specific routine they like to stick to throughout the workday. Just as no software company can create a one-size-fits-all application to work with every type of organization, no business can decide for its employees how they should approach their workflow. Allowing users the ability to tweak their own settings within the social community, then, is an essential part of adding personalization to the scenario. The navigation panel in your social intranet remains static as people move from one part of the community to another. What many people overlook is the advantage of adding elements of branding to your navigation panel. Your organization's logo and tagline, for example, can often fit perfectly in this space. Also, don't forget to customize it to your company's colors, as this is a perfect place to do so. When your staff members have the right widgets to work with, productivity levels can soar. One of the best ways to ensure their methods aren't hindered is to let them customize which widgets are visible and which are hidden. Some may feel the need to have a notepad widget at their fingertips, for example, while others might wish to have an analog clock in front of them at all times. Either way, customizable widgets are very useful when properly employed. 5. Encourage people to fill out their employee profiles. A major benefit of social intranet software is that it allows people to fill-out employee profiles that highlight their skills and expertise. In addition, employee profiles can be used to help employees inject their own personalities into an organization ... they can list favorite music, hobbies, and anything else that might come to mind. Encouraging people to fill-out their profiles can be a lengthy process, but it's worth the investment, as it gives employees ownership of their space, thus increasing their likelihood for continued engagement. 6. Take a managerial approach to customization. When it comes to customization and personalization of your intranet software platform, the options are practically limitless. However, if all you do is sit back and avoid taking action, you can't expect to see change. Taking a managerial approach to customization is essential, as the more you can do to further the personality of your intranet, the more likely your employees will catch-on and do the same. Intranet personalization should always receive a degree of focus, even if you feel your intranet is moving along at a good pace. Getting the ball rolling is as easy as choosing a social intranet platform that allows for the utmost in personalization, and Communifire has got you covered.